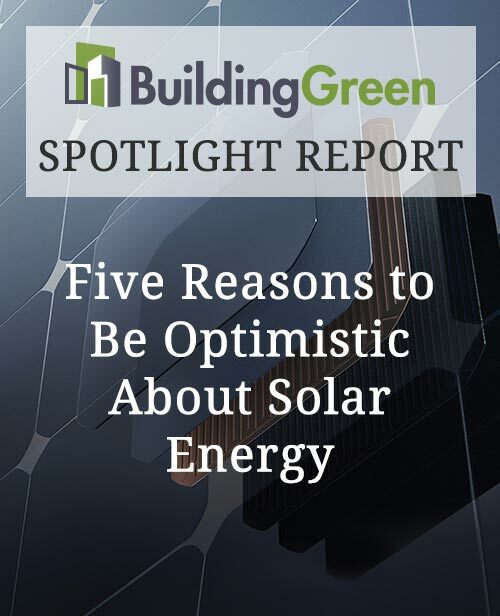 In this 15-page PDF report, we explore five solid reasons to be optimistic about the future of solar power, including continued impressive growth, an overall positive environmental footprint, increased energy independence, and technological advancements. The primary benefit from PV systems is the ability to offset the use of fossil fuels, which have much higher environmental and health costs resulting from mining, petrochemical infrastructure, local emissions of greenhouse gases, toxic emissions, waste byproducts, and more. PV’s overall environmental profile is far better than that of fossil fuels, but there is no free lunch. In this report, we will also discuss the potential negative impacts to be aware of such as utility-scale PV projects converting large tracts of land are converted which could lead to habitat loss, true costs of production, and the looming concern of PV’s downstream waste. Describe three ways how PV decreases environmental impact while increasing sustainability and health measures for communities. Discuss PV life-cycle challenges that need to be considered carefully to minimize negative impacts to the welfare of natural and human systems. Identify resilience opportunities with creating PV energy projects that focus on local solutions to grid failures and emergencies to support health and safety of residents. Explain three health and safety benefits that PV provides compared to fossil fuel based energy grids. The printable report includes the continuing education quiz, which you can complete online to receive CEUs from AIA and GBCI.